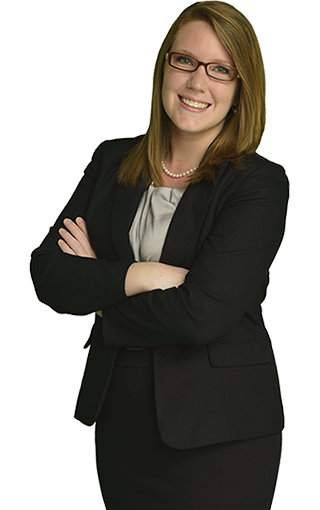 Alyse N. Verner is a familiar face to many ShuffieldLowman clients, having worked with the firm since 2006 in several capacities, the most recent being elder law attorney. Verner, a recent law school graduate starts her career with two distinct advantages. First, she has been an important ShuffieldLowman elder law team member serving as both a legal assistant and law clerk for many years, learning the area of law from an inside perspective. Second, she has been under the careful tutelage of one of Central Florida’s most respected elder law attorneys, ShuffieldLowman partner Heidi W. Isenhart. Given the mentoring and training of Heidi Isenhart, Alyse hits the ground running with a strong understanding of the complex needs facing elder law clients. As an elder law attorney, Verner has the benefit of years of experience in assisting Isenhart and firm clients with long term care planning, Medicaid planning and asset protection. Her current areas of focus include drafting estate planning documents and pleadings and motions in guardianship and probate matters, including contested guardianship and litigated probate cases. Her skills as a technician are evident in her work as she strives to serve our clients who have found themselves in crisis situations. An honors student and legal studies graduate of the University of Central Florida, upon graduation, Alyse entered Barry University School of Law, while continuing fulltime employment with the firm. She was sworn-in as a member of The Florida Bar in September of 2012. Admitted to bar, 2012, Florida. University of Central Florida (B.S. in Legal Studies, with honors, 2008); Barry University School of Law, (J.D., 2012). Member, Elder Law and Real Property, Probate and Trust Law Sections, The Florida Bar.